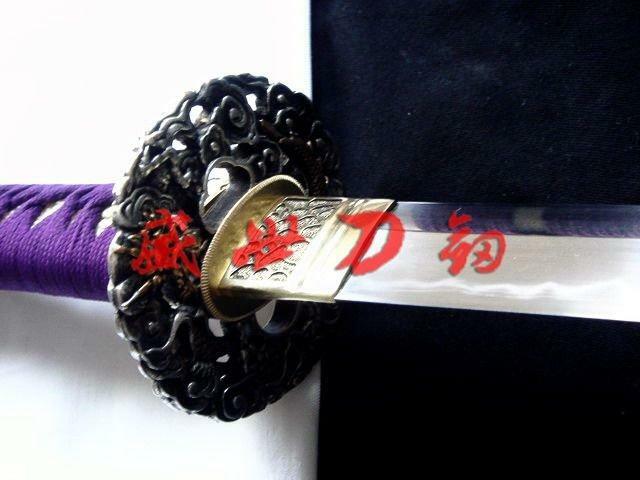 The blade of the sword has been hand forged using the traditional ancient method of sword making. 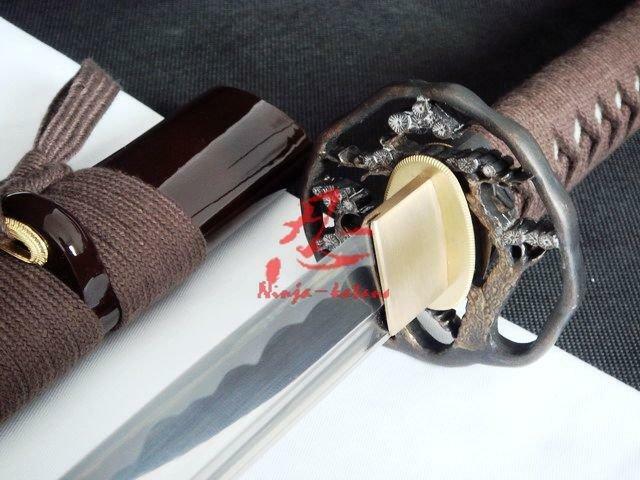 The hand forged blade with full tang can cut (tatami) with one single strike. 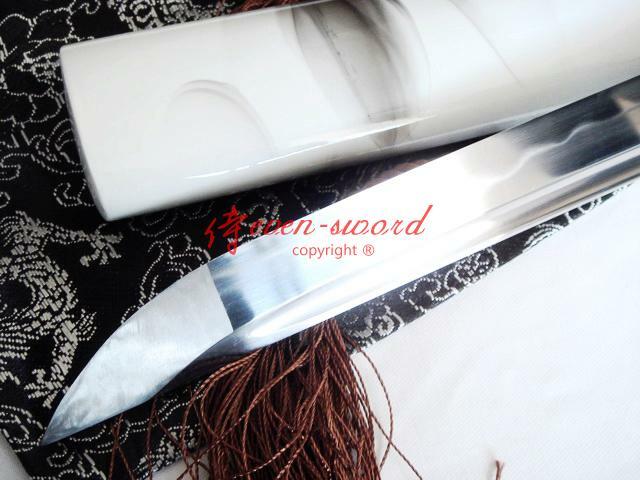 There are two outer jacket pieces of steel (folded steel) wrapped around a relatively softer inner iron core, which is resilient and able to absorb shocks and helps to reduce the possibility of the blade breaking or bending. 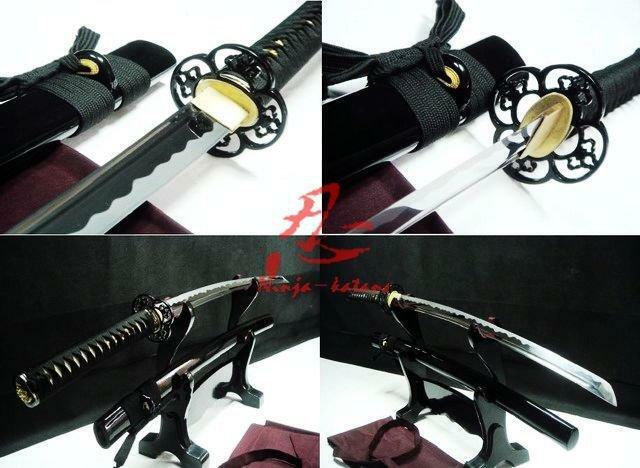 The most important feature, is that the blade is made of pucker steel, (AISI 1060) carbon steel that was forged several times, and then was further shaped by a tried ancient method and process called “Folded steel”. 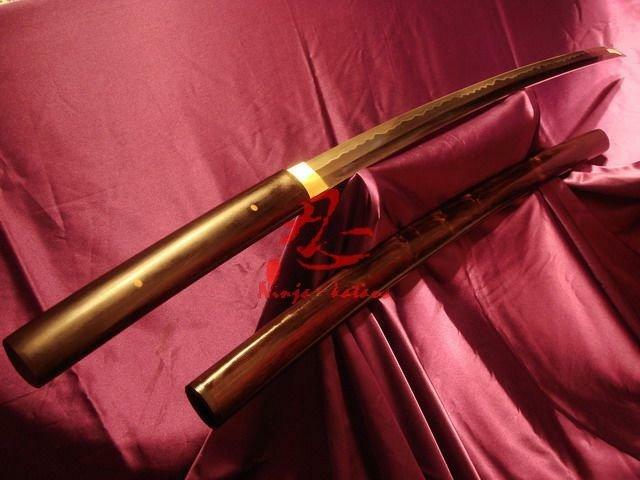 This is supported on the 2 sides with (AISI 1095) carbon high steel. 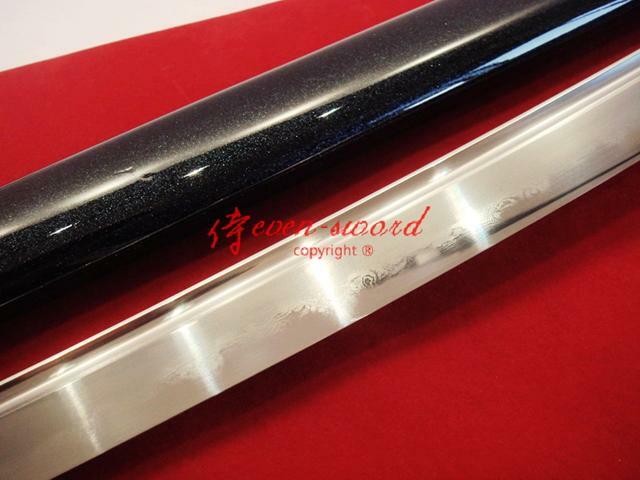 High carbon steel makes the edge incredibly strong and achieves the world cutting standard. 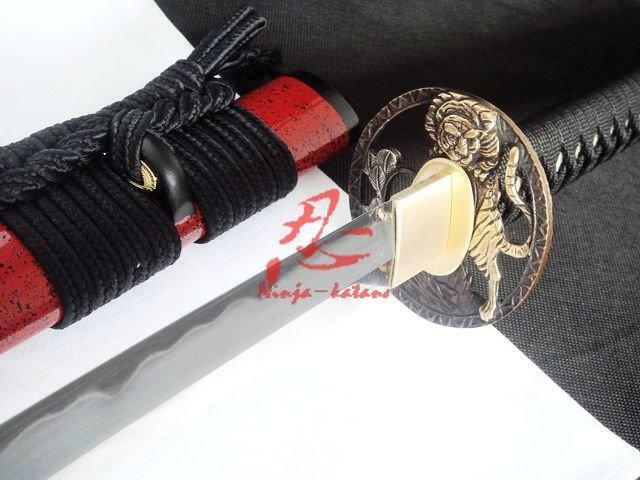 One piece of iron in the core and the folded steel gives the blade more flexibility. 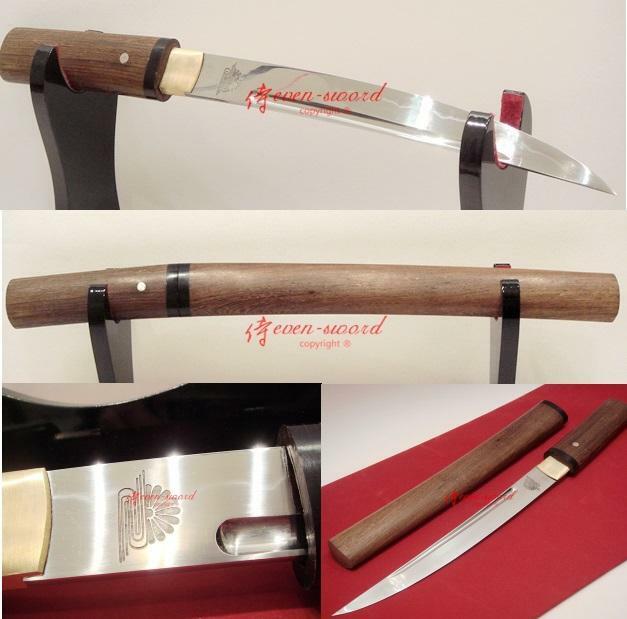 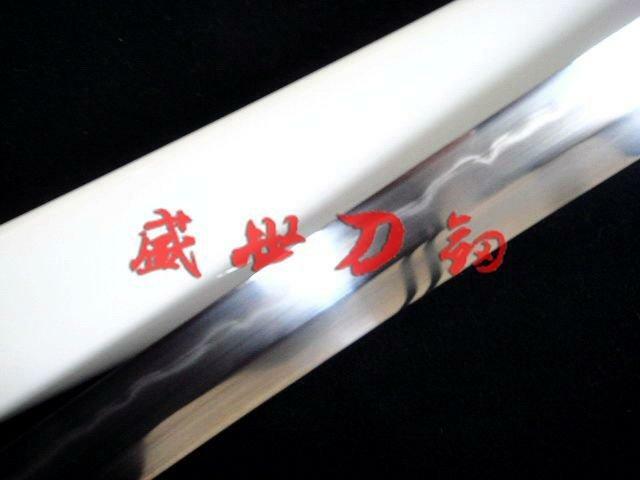 The visible tenuous undulating grain on the blade was, as a result of being folded repeatedly during this old age forging process and the blade has been hand polished with multiple grade stones by this old age proven Japanese method. 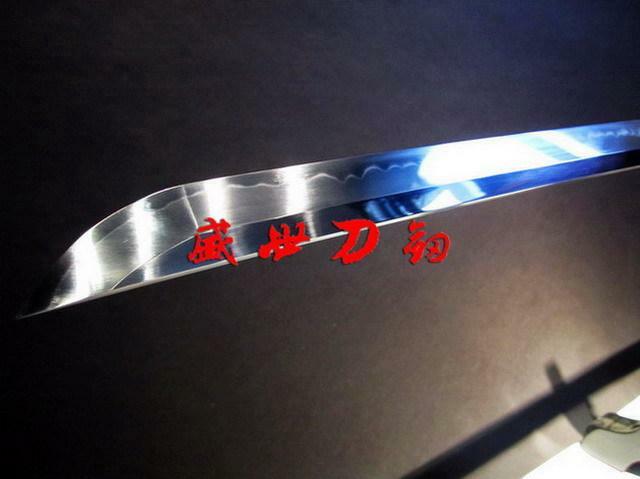 This makes the blade very extremely smooth with a superior shine. 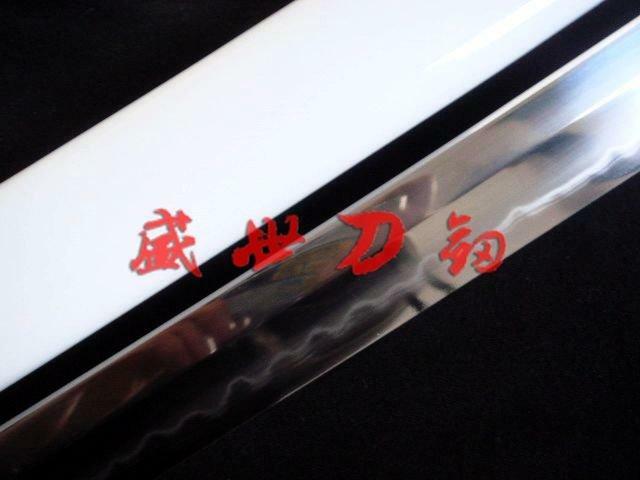 This blade has gone through more than 14 hand sharpening processes.This katana can be taken apart fully anytime for maintenance. 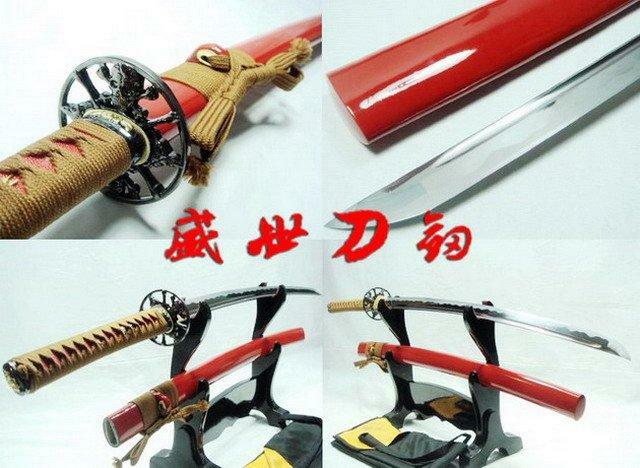 You can disassemble the blade from the handle by taking out two pegs. 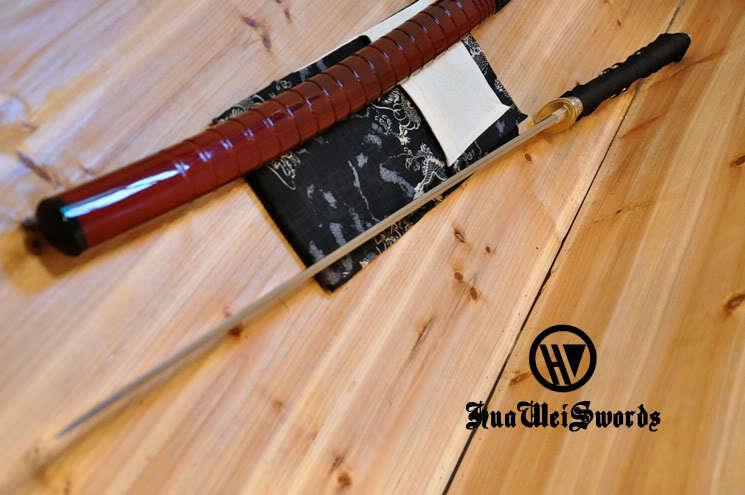 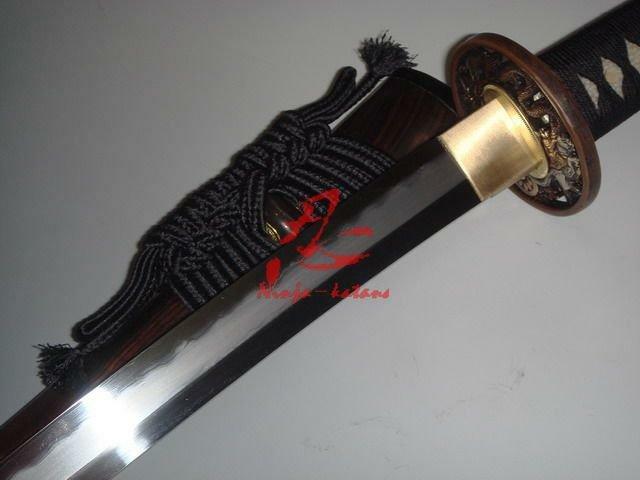 This is a sharpened battle ready Samurai katana sword very well suited for (Iaido) or (kendo). 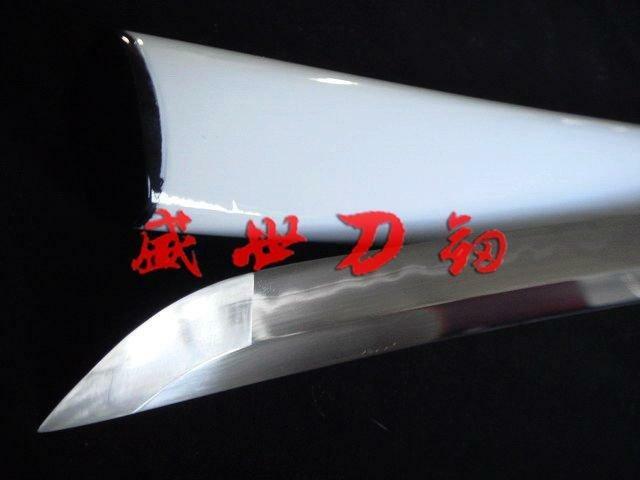 It’s also a beautiful collectable for yourself or for presentation to your friends. 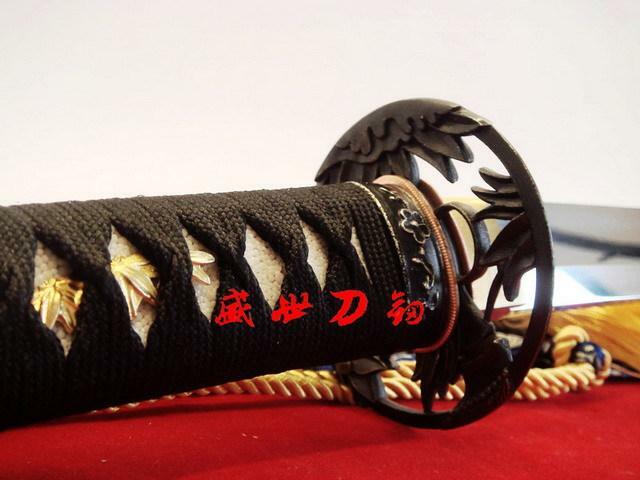 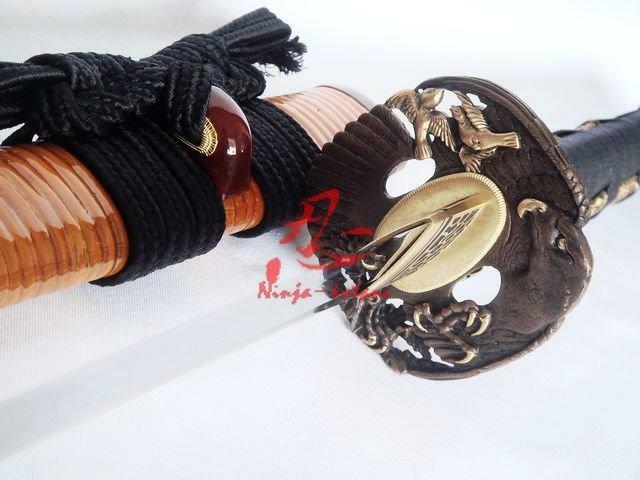 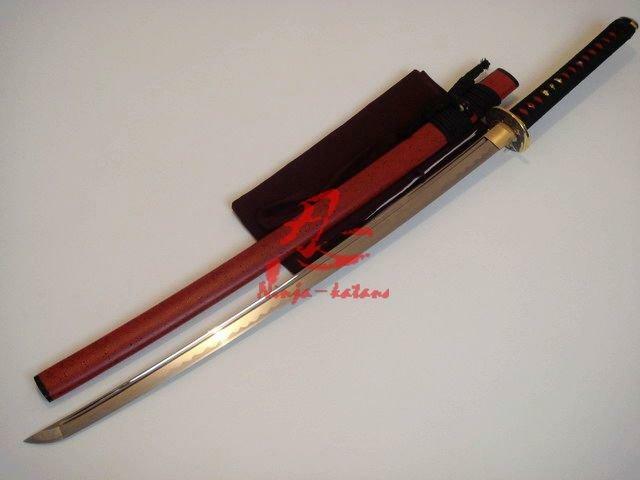 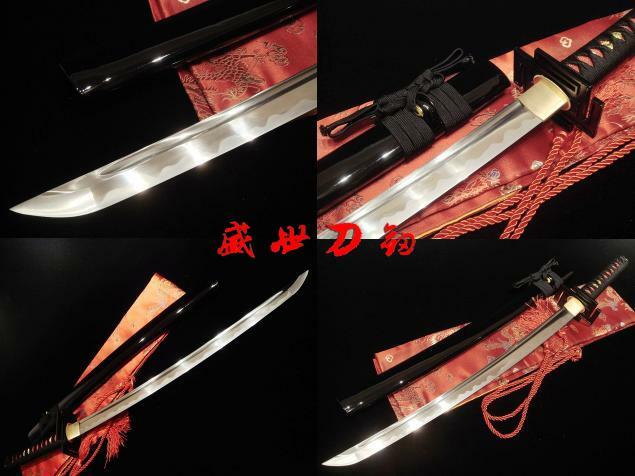 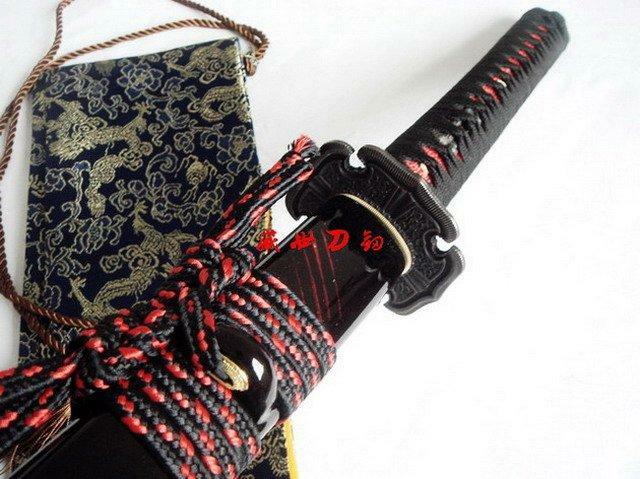 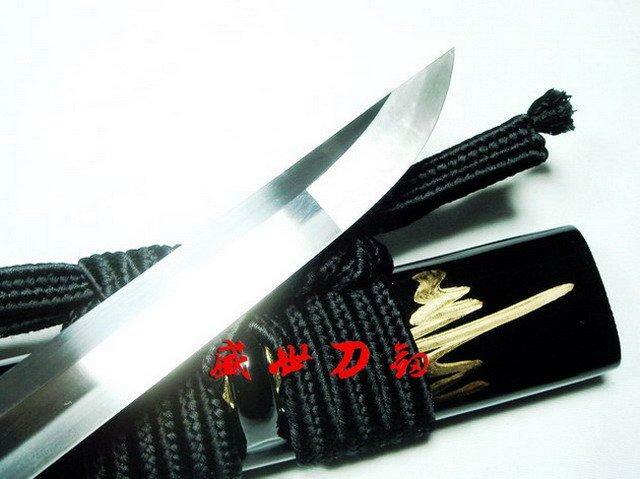 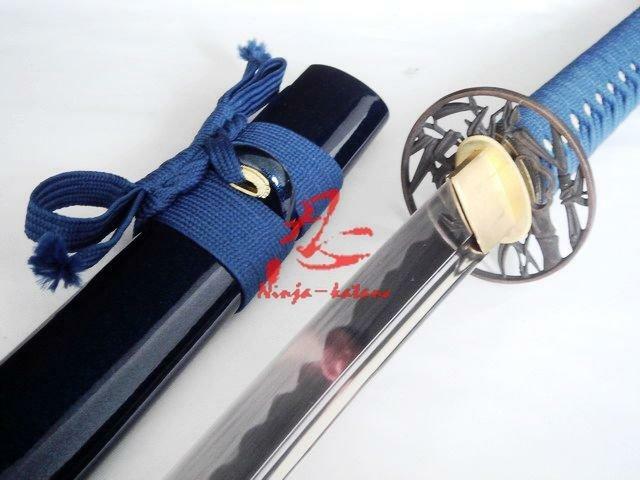 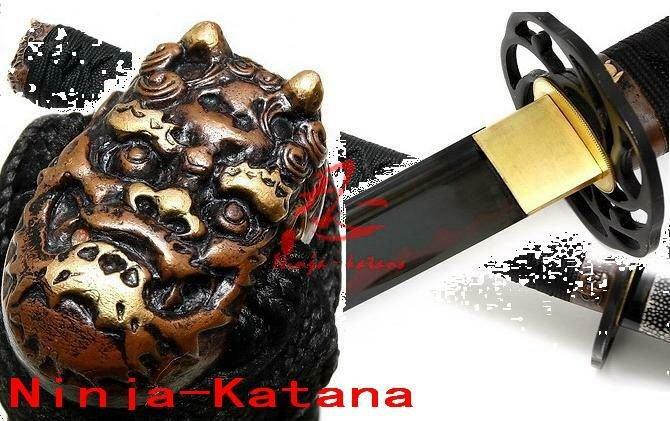 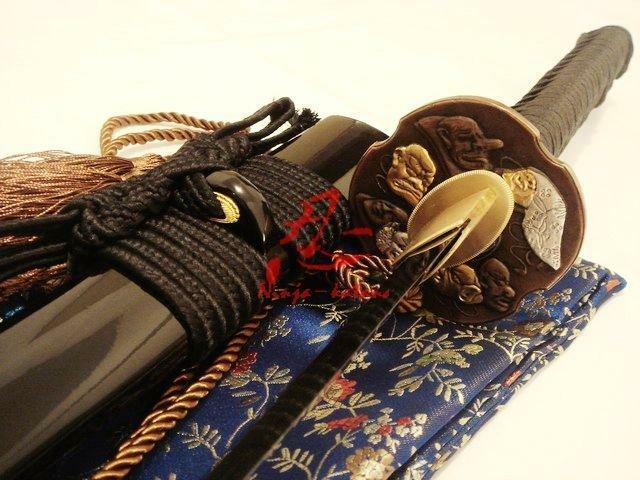 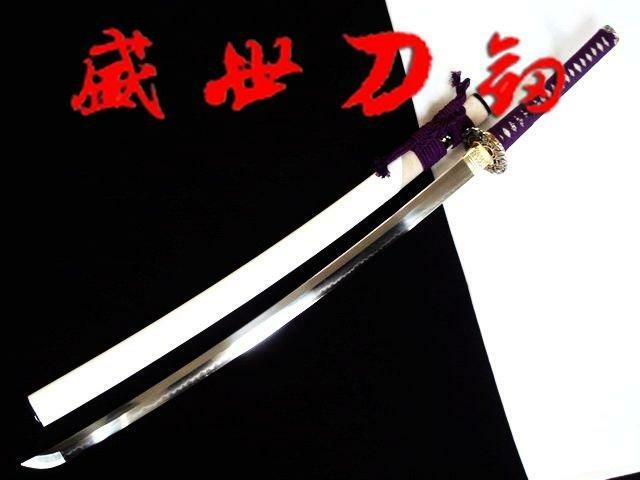 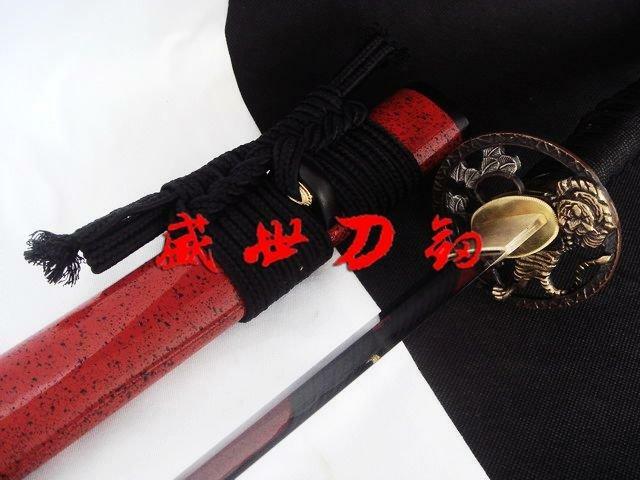 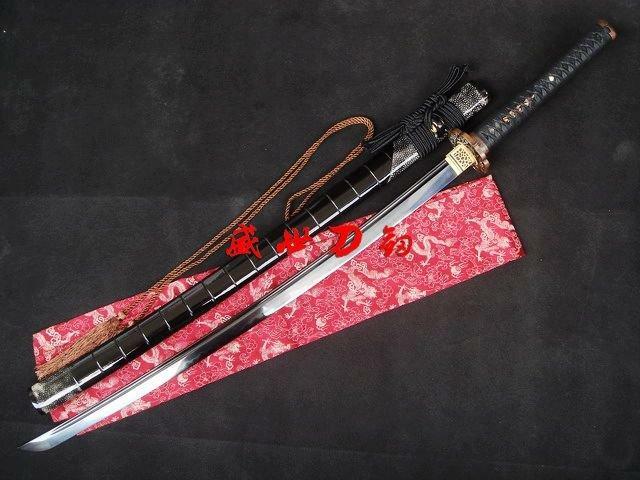 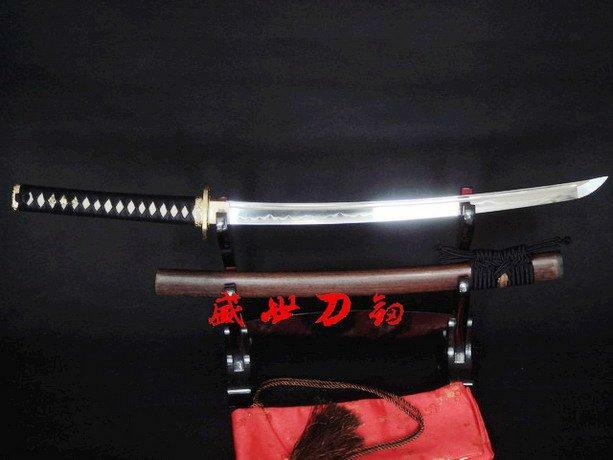 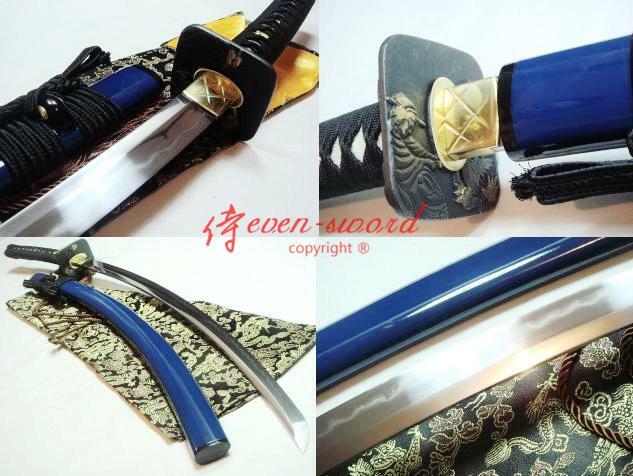 Don't miss such a great opportunity of modern Samurai sword investment. 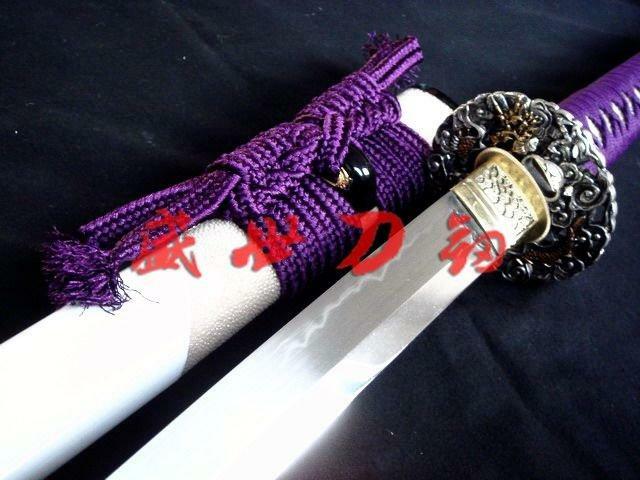 The sword bag is included with the purchase of this magnificent sword.